Should my kids really be getting summer homework? And if they do, how should we approach it so they actually learn something over the summer (rather than just doing busywork)? At some schools, kids are routinely overloaded with multiple books to read, and big math packets to complete. At other schools? Nothing is assigned. My personal opinion is that the right balance lies somewhere in the middle… Yes, we want kids to keep their minds sharp, but not at the expense of having fun over the summer. And you’ll walk away with a better understanding of how to make the most out of homework (or lack thereof) this summer. How much is too much summer homework? Or jump right in with the video below. When kids do nothing at all in math and reading, the research shows that they can lose two to three months of learning progress over the summer. Just think: That’s almost as if they decided to end the school year in March! And if left alone, those losses accumulate over time with respect to their peers. 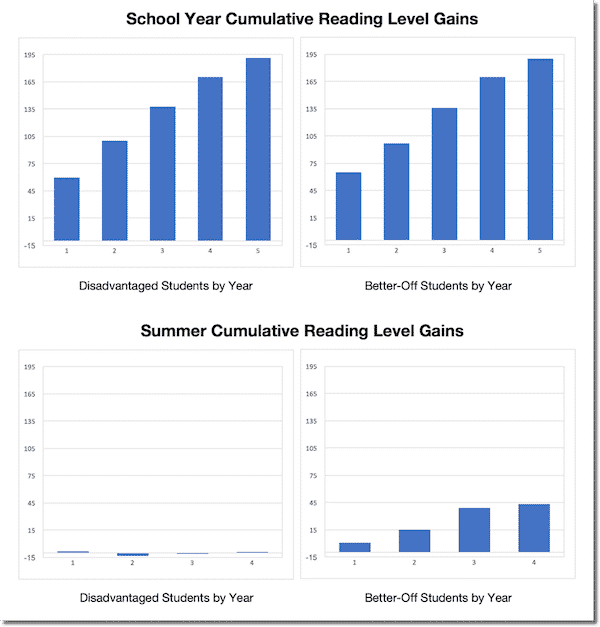 A 2007 study out of John’s Hopkins University showed that while students (on average) make similar gains in reading comprehension throughout the year, students without access to learning opportunities make no progress over the summer, while students with access outpace them year after year. Ultimately, by the time they reach 5th grade, disadvantaged students are the equivalent of 3 full grade levels behind their advantaged peers in reading ability! 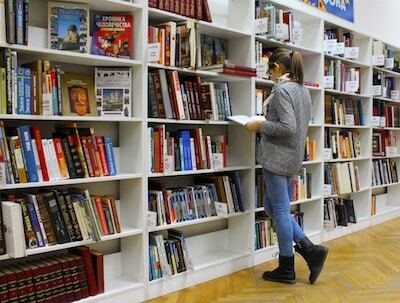 Because studies also show that kids who read just four books over the summer are able to almost completely eliminate that summer learning slide. … that’s probably a bit overboard. Yes, we want kids to keep their minds sharp, but not at the expense of having fun over the summer. So my recommendation is to create a balance. Get your summer assignments done, but try to structure it in a way that makes learning fun. First off, we can break down summer homework assignments in terms of required vs. recommended. Most schools send out a recommended reading list, and sometimes subject review packets to their students to complete over the summer. And some actually require that their students complete a certain amount of those assignments over the summer, which are included in their grade for the upcoming school year. Now, it does make sense to prioritize required assignments over recommended assignments… especially if your school went overboard with what they handed out. But as long as it’s not too much material, regardless of whether reading is assigned or not, I recommend working with your child to map out a plan of attack for the summer to get it done (on their terms – see below). 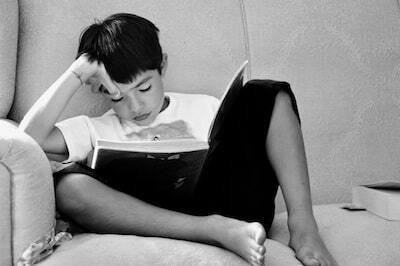 By far, the most popular category of summer homework assigned are reading lists. Sometimes though, there are specific books that your student needs to read over the summer (see the “required” section above), especially high school students, and you’ll need to work with them to figure out a plan of attack. And then let them answer. Help them formulate a (realistic) plan with their input, and they’ll but much more likely to follow it… and not end up in the last-minute reading rush on August 30th trying to get their summer reading done! But on the other hand, if you do have some flexibility in terms of what your student is assigned to read over the summer, what I like to do is create a reading list tailored specifically towards the age or interests of your student. And one of the best ways to do this is: Amazon! 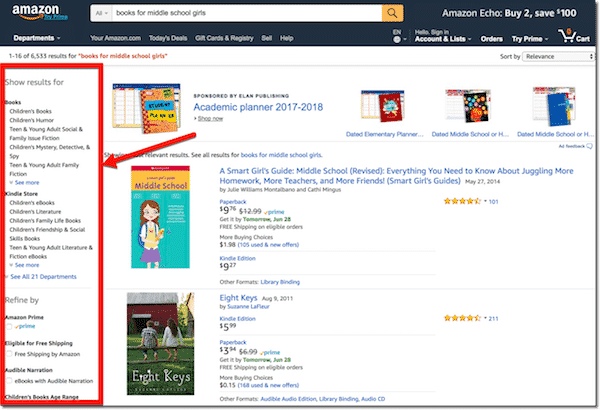 Step 2: Review the list and make sure that the results are relevant (sometimes they require a little tweaking), and pay attention to the options on the sidebar where you can filter by subject, age rage, etc. Look over the summaries and let them pick the books they want to read. “You know what honey, this year you’re not reading a graphic novel. You can only read books with words, no pictures. We don’t want to do that as parents. We really want to let our kids decide, because when they’re invested, they’re much more likely to meet that four book goal over the summer. Make sure to do this before July 4th so the summer doesn’t get away from you, and use your list of books that you picked out. Step 4: Sit down with them and make a plan. Don’t assume your child will gleefully run up to his room and begin flipping the pages. They’re much more likely to read consistently if you have “READING TIME” marked off on the calendar at a consistent time each day. You can even make it a family routine! Having everyone in the house reading at the same time will help encourage your child to get their reading done, especially if they’re reluctant or easily distracted. Now, many kids are reluctant readers and may need a parent to help them get started… And you need to be willing to make the time to lend a hand. This can be in the form of “you read a page, he reads a page” or for a really reluctant reader, “you read two pages and he reads one,” until he’s into the story. Make this a habit, and before long you’ll have a bookworm on your hands! The same principles hold true for other assigned work as well. Don’t assume your child will be chipping away at those math packets one day at a time (and the thicker they are, the more daunting they’ll seem). Truth be told: we get lots of calls from parents mid-August, panicked that their kid hasn’t read and annotated a three-hundred-page book and completed a bunch of review worksheets – even though the parent has reminded him at least ten times! The value to any summer learning is doing a little bit at a time over a long stretch. The brain retains information best in bit sized chunks, not by cramming. And this is even more important for math because it’s a subject that continually builds on itself. So if you miss something early on, you’re probably going to have to back-track when you run into that same concept again in the future. 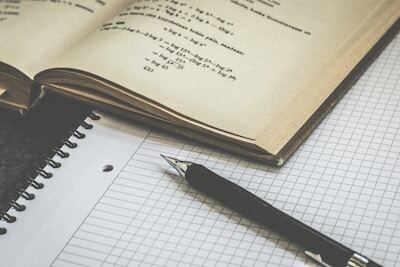 So just like with reading assignments, if your son or daughter are assigned a math packet (or any other type of subject packet) over the summer, make sure to site down and set the plan early. Below is a recent interview I did with WTOP’s Every Day is Kid’s Day podcast (interview starts at 0:53) on how to bring a fresh perspective to summer learning, and make things more fun and interesting for your son or daughter this year. For writing: use a dialogue journal. One of the best ways to get your child comfortable with writing on a regular basis is to make a game out of it. 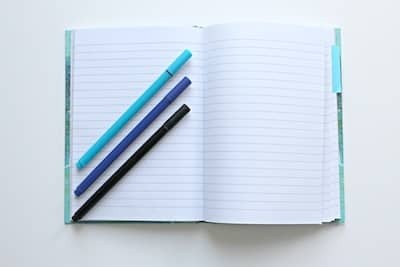 So try designating a “special” notebook or journal that lives in your kid’s room that you can use to communicate with them through writing. Then, simply leave them a note each day, that they read and respond to. Leave the journal on his bed and allow him to write back that evening. The next day, you respond. And be sure not to fix grammar or spelling, just let these be a carefree way to practice writing and even illustrations. At the end of the summer, not only will they have improved their writing skills, but you’ll also have an amazing keepsake to look back on for years to come. 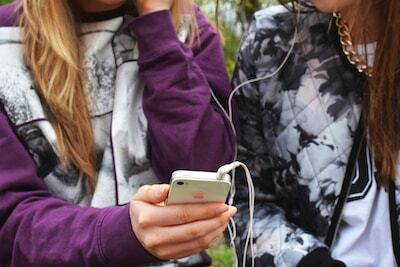 For reading: listen to audiobooks! Don’t forget that audio books can be very helpful for developing comprehension and fluency. Studies show that when kids want to read a book just above their level and listen to the book while following along with the lines, they improve their skills more than if they read independently. So using a site like Audible.com or going to your local library website to download audio versions of the books your son or daughter has picked out (or has assigned) for the summer isn’t cheating, it’s just another way to “open the door” to getting them involved in reading. Plus, it’s great for long summer road trips! For math: play (math) games on the iPad. For most of us, it’s a constant battle to keep our kids AWAY from the devices over the summer… but it need not be either or. One of the best ways to “bridge the gap” is to give your child the opportunity to use educational apps or websites on their phone or iPad that will keep them learning, without feeling like math always has to involve drudgery. Multiplication.com is great site for staying sharp on math facts. And pretty much every elementary schooler needs to practice their addition, subtraction, multiplication, and division over the summer to stay sharp. 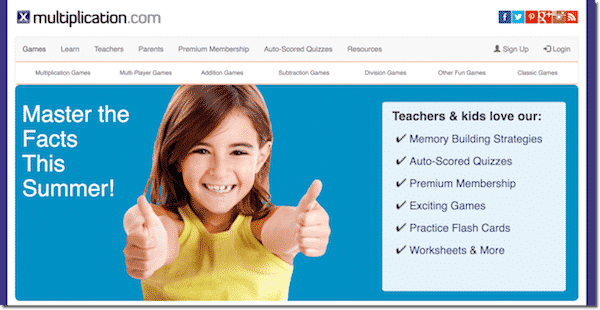 Funbrain.com is also perfect for allowing a little screen time in-between reading or homework sessions, while still learning at the same time. 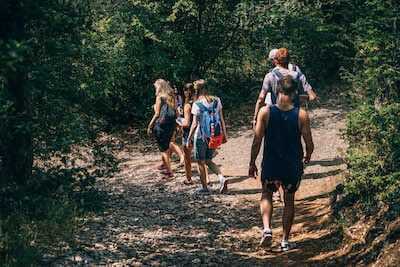 For learning that’s fun: find local adventures! Yes, you could have your kids spend their summer doing workbooks and refresher material, and that would probably help them stay sharp… but most kids find that to be a drag on their motivation to learn. Instead, find a local museum or science center and take field trip! Use the outing to ask your kids to guide the learning session and pick out what they want to explore… and then tell you about it. And then watch in amazement at how excited they are, not even realizing that they’re “learning,” but just enjoying the moment and experiencing something new. Summer camps are great for this too, so do some Googling and find out what’s going on in your area. Now let’s hear from you..
How have you handled the balance between required summer schoolwork and fun? What have you done that’s helpful in your family to keep summer learning alive without going overboard?